Packed up and ready to rock! 1 am: Finish packing. 3 am: Depart for airport. 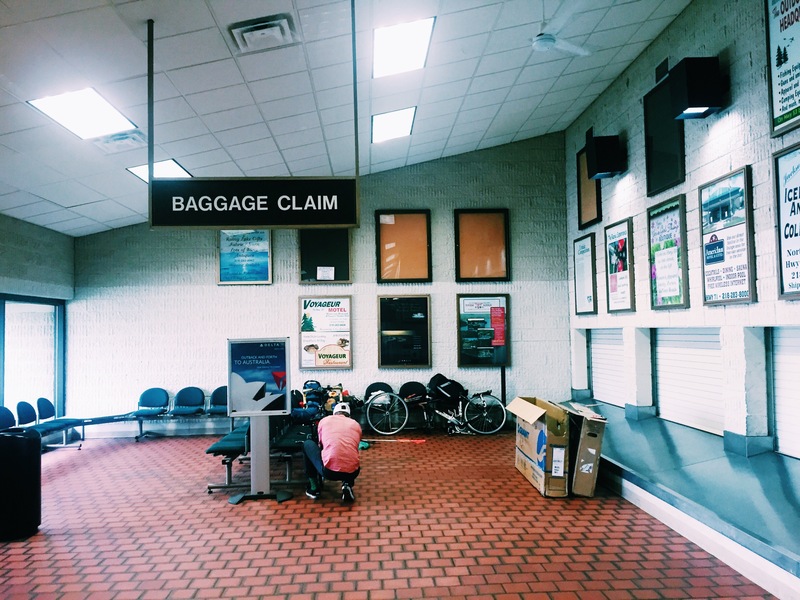 When our unwieldy bike boxes popped onto the baggage claim belt in International Falls, Minnesota, they were already torn open. Haphazardly packed contents perched precariously near the holes. My sleeping bag barely plugged a dinner plate sized cardboard tear. Gingerly, I removed a TSA inspection flyer which had been woven in the spokes of my bike wheel. But the bikes made it. We spent several hours assembling, tinkering, repacking, and tweaking in the humble airport lobby, much to the bewilderment of the airport workers and sparse Minnesotan travelers. 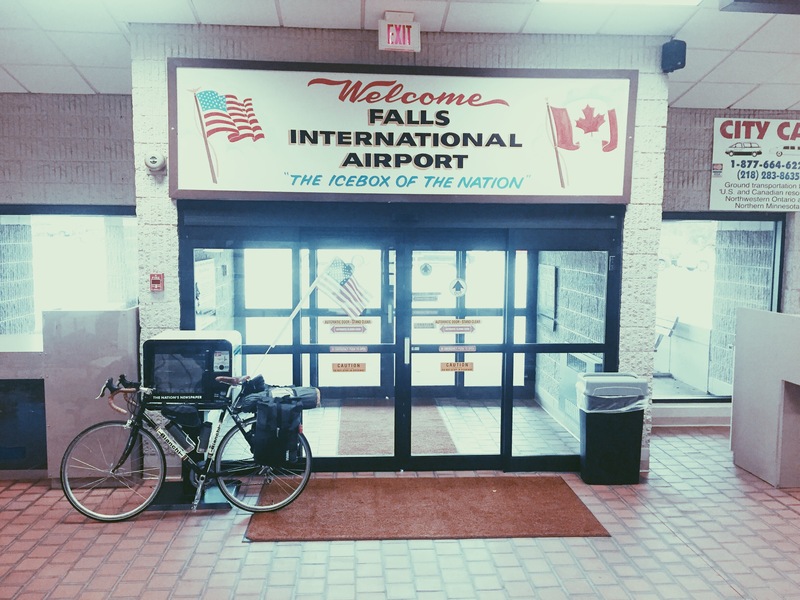 International Falls, “The Icebox of the Nation,” is as close to the Canadian border as you can get without leaving the country. We biked away from the airport, nervous and a bit wobbly as we adjusted to our full loads. The next day, we’d head for the border on two wheels. ← Previous Post Packed up and ready to rock! Next Post → O, Canada! International Falls is also known as Frostbite Falls, home Rocky of Bullwinkle!